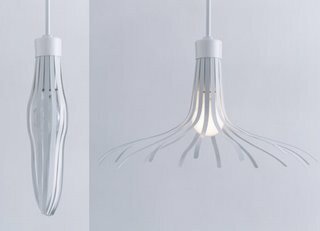 Hanabi (fireworks party) is the name of this beautiful lamp, by japanese designer Endo. 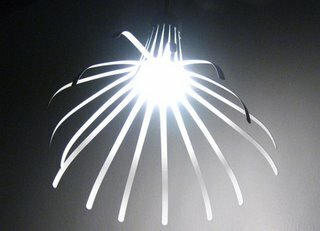 Closed when cold, and with petals opened when it becomes hotter due to the light bulb’s temperature. A lovely and original idea. That is genius! And what a perfect name, hanabi.